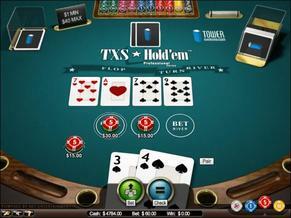 In Texas Hold'em, there are a total of five community cards placed in the center of the table. First, there is the flop where three cards are placed face up on the table followed by a round of betting. The next card is called the turn. The turn is a crucial step in any Texas Hold'em hand for a number of reasons. One reason is that players who were hoping to draw into a hand but missed have just halved the number of cards left to make their hand and thus hurting drastically reducing their chance to win the hand. It is also a place where big bets are often made because the person who was strongest on the flop could just be beaten leaving two players thinking they have the best hand. With two players thinking they still have the best hand, it is not uncommon for large amounts of chips to get pushed into the middle after the turn.